A herb is a plant grown for culinary, medicinal, or in some cases even spiritual value. The green, leafy part of the plant is typically used. 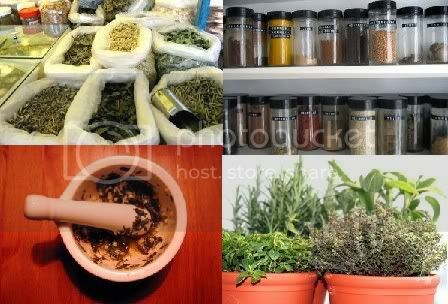 General usage differs between culinary herbs and medicinal herbs. A medicinal herb may be a shrub or other woody plant, whereas a culinary herb is a non-woody plant. By contrast, spices are the seeds, berries, bark, root, or other parts of the plant, even leaves in some cases; although any of these, as well as any edible fruits or vegetables, may be considered "herbs" in medicinal or spiritual use. Culinary herbs are distinguished from vegetables in that they are used in small amounts and provide flavor (are spices) rather than substance to food. A herb garden is a garden specifically designed and used for the cultivation of cooking and/or medicinal herbs. Herb gardens developed from the general gardens of the ancient classical worlds, used for growing vegetables, flowers, fruits and medicines. During the medieval period monks and nuns acquired specialist medical knowledge and grew the necessary herbs in specialist gardens. Typical plants were rosemary, parsley, sage, marjoram, thyme, mint, rue, angelica, bay and basil. The section in which herbs was grown became known as a Garden of Simples. Herb gardens experienced a revival with the work of the British garden historian and horticultural, writer Eleanour Sinclair Rohde (1882-1950). Modern herb gardens may be purely functional or may be ornamental, sometimes as part of a design and containing boxes and raised beds. 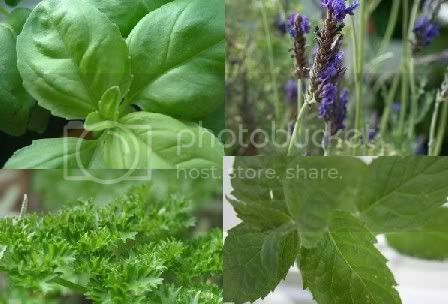 The development of alternative medicine is also encouraging people to grow and use fresh herbs (eg for the treatment of acne). * Celastrus Panicaltus - Herb. Really good of you to put a full list up! Sometimes people mentioned things when discussing recipes but now I will be able to research them!